Fill out this form to receive our quarterly newsletter. You can unsubscribe at any time by clicking on the unsubscribe link at the bottom of the email. Cheryl Batalon Fambles has served as Chief Executive Officer of Pacific Mountain Workforce Development Council (PacMtn) since 2012. 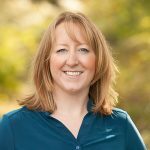 Cheryl previously held executive and senior positions in the Washington Workforce Association and in local government agencies including King County, Thurston County, the City of Issaquah, and the Skokomish Tribal Nation. Her consulting work has been diverse and includes community, organizational and infrastructure projects. She completed a master’s degree in public administration from City University of New York, and is a graduate of the Senior Executives in Local Government Program JFK School of Public Service at Harvard. She received her undergraduate degree from The Evergreen State College. In January 2017 Cheryl was appointed as a Board Director for the Seattle Branch of the San Francisco Reserve Bank. She serves on the Thurston County Chamber and the Governor’s WA Military Transition Council. Cheryl is an articulate advocate for rural communities, issues of poverty and inequity and the redemptive power of work and quality employment. 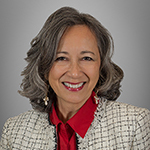 Beginning in February 2018, she joined the Board of Trustees of the Capital Medical Center where she helps oversee and advise the hospital administration to ensure hospital and medical staff can continue to provide quality medical care to meet the healthcare needs of the regional community. 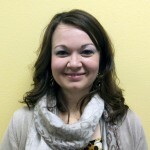 Bridget has been in various roles in the workforce development system since 2006. Currently, as the Director of Finance & Administrative Services, she oversees the financial integrity, budget management, grant and contract compliance and human resource functions of the organization. She holds a Bachelor of Science degree in Administrative Management and Information Technology from Central Washington University. Corinne is proud to be a part of the PacMtn team and is responsible for the development and management of workforce programs. Corinne has experience managing state and federal workforce programs such as the State Work-Study Program and the Senior Community Service and Employment Program. Corinne also has had extensive involvement in serving special populations such as youth, seniors and individuals with disabilities with employment training. Corinne graduated from the University of Central Missouri with a B.S. in Sociology and an M.S. in Criminal Justice. Corinne currently lives in Olympia with her daughter and dog. Corinne and her daughter both love what the entire PacMtn region has to offer, especially the hiking! Sean came to PacMtn in 2013 as the Business and Community Engagement Manager. In 2014, he was promoted to lead Camo2Commerce, which is a $8.06 million grant program funded by the U.S. Department of Labor. To date, the program has placed over 900 servicemembers upon transition into employment, at an average hourly rate of over $26 per hour. Under his leadership, the program has developed programs such as the Corporate Fellowship Program, now managed nationally by Hiring Our Heroes, and other career pathways programs that have successfully placed servicemembers into IT, Aerospace, Apprenticeship/Construction, Law Enforcement, and many other fields. He has since been promoted to be the Associated Director of Sector Strategies & Innovation. Prior to working with PacMtn, Sean worked for Governor Christine Gregoire, U.S. Congressman Brian Baird, and U.S. Senator Patty Murray. 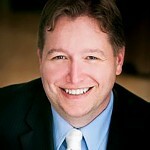 In his most recent role before coming to PacMtn, he was the Executive Director for a multi-state trade association. He holds a Bachelor’s degree from Eastern Washington University, and is currently completing his Executive MBA from Cornell University.